Celebrating Memorial Day Weekend at Secrets Resorts & Spas! We love celebrating holidays at Secrets Resorts & Spas and Memorial Day is one of our favorites! Although the official start of summer isn’t until June, Memorial Day weekend always feels like the unofficial kickoff to summertime fun as we take a moment to remember those who fought for our freedom! We had a blast celebrating this year at Secrets The Vine Cancun and Secrets Capri Riviera Cancun with BBQs, beach volleyball and all of our favorite summer kickoff events! Secrets Resorts & Spas offer adults an escape to romance and sensuality in spectacular oceanfront settings. Each of our upscale resorts combines exemplary personal service with casual, yet sophisticated style. In addition, guests enjoy all the privileges of Unlimited-Luxury®. Check out some of our favorite photos from this fun weekend! Thanks to everyone who celebrated with us! Amazing performances at the pool to kick off Memorial Day weekend at Secrets Capri Riviera Cancun. Nighttime entertainment to celebrate Memorial Day weekend at Secrets Capri Riviera Cancun. 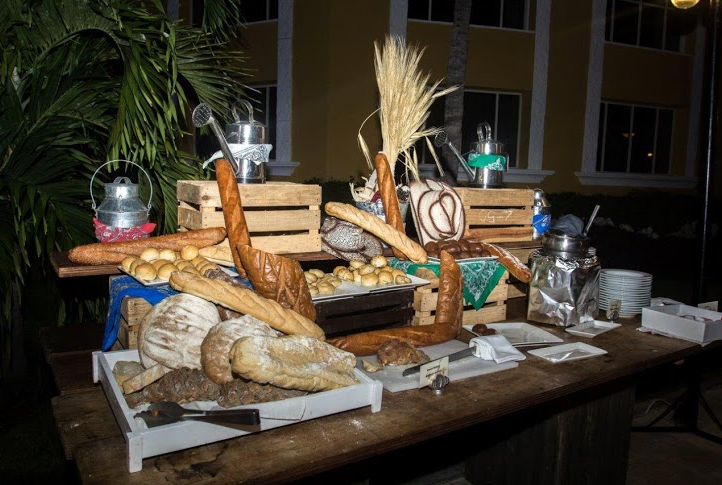 A delicious spread to celebrate Memorial Day weekend at Secrets Capri Riviera Cancun. Guests have fun by the pool to celebrate Memorial Day weekend at Secrets The Vine Cancun. Our chefs proudly serving delicious Memorial Day weekend treats at Secrets The Vine Cancun. A live band gets things going to celebrate Memorial Day weekend at Secrets The Vine Cancun. This entry was posted in Secrets Capri, Secrets Resorts & Spas, Secrets The Vine Cancun and tagged Activities, Cancun, Holidays, Memorial Day, mexico, Special Events. Bookmark the permalink. ← Our Top 5 Reasons for a Sizzling Secrets Summer Vacation!